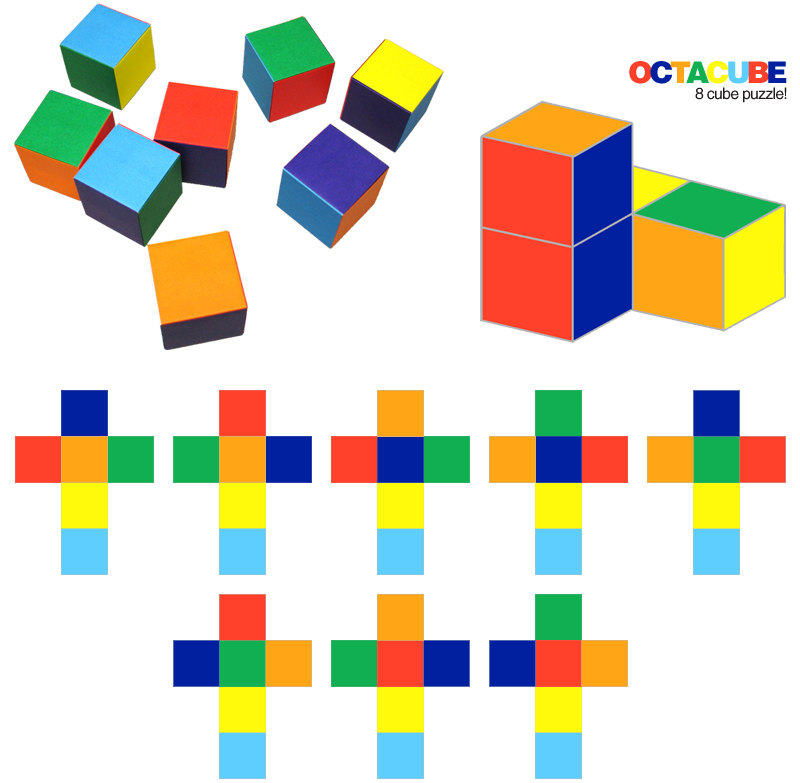 This 8 cube puzzle helps kids develop problem solving skills, while exploring geometry! The goal - "build a 2×2×2 cube, so that every side of the larger cube has only one color, and so that faces that touch each other match in color." - Jaap. Above is an example of what your color patterns on your cube template should look like. 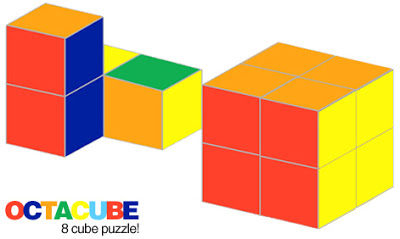 You can find a blank printable cube template here (you will need 8 cubes for the puzzle). Visit Jaap's Puzzle Page for more details! Note: You could also paint wood cube blocks.